Geographically speaking, we have the 'serious Scandinavians' to the north with their finely crafted mid-century classics. Down south the effortlessly cool Mediterranean's love their expressive, dramatic and creative designs, after all they have been setting trends since the Roman Empire. In the centre of it all, you have France and I think the perfect blend of the serious and the fun. For me, a Francophile tragic, I feel right at home. Recently design from France has come to the fore. There is something effortless about the French style when it comes to interiors. We are now familiar with Danish 'hygge' cosyness way of life and the French also have their own 'art de vivre'. A kind of mindfullness where they stop to enjoy lunch everyday (not eating at their desk) and fling open the windows in the morning to welcome the day. I'm still not sure how they stay so gorgeous and chic whilst enjoying delicious cheese, wine and croissants. To me, the French style is full of life; the spaces tell a story and have soul. They are exciting spaces to be in. There’s an abundance of gorgeous colour and pattern, which is often set within an incredible historical space. it doesn’t take itself too seriously and this irreverance makes it efforlessly cool. The most divine bedroom of designer Joseph Dirand. An elegant space with pared back, intentional pieces. Impossibly gorgeous gold kitchen by Jean-Louis Deniot. The French adopt a laissez-faire attitude like no other, they practically invented the idea of casual living. We have the French to thank for the sofa and occasional table as we know it. The Casual French look is like the (incredibly chic) owner has put the look together themselves with unusual pairings. The French interior is never too curated or too perfect, but always elegant. Designer Emilie Bonaventure’s own home in the 9th arrondissement is serene and elegant, allowing her to find some peace in her busy life. The colours are neutral and the walls are white, however the space is anything but boring. She trawls Marché aux Puces de Saint-Ouen in the north of Paris for pieces to add to layer in the space. The French are able to pull of this eclectic look and elevate it to create an elegant and sophisticated interior, and make it look effortless. This Haussman apartment has parquet oak floors, classical wall molding details, a carved marble fireplace whilst being extremely welcoming and warm. Sound French enough for you? 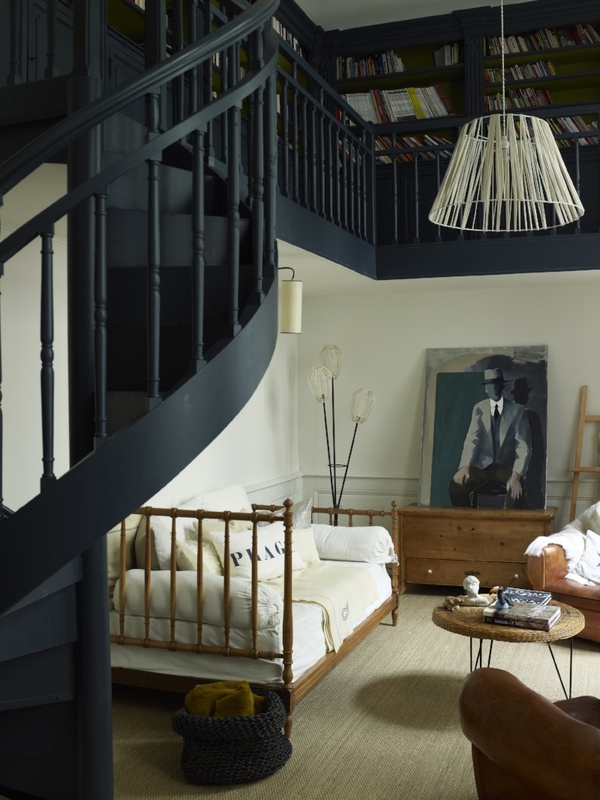 An apartment in Port de Vannes in Brittany owned by photographer Gaelle Boulicaut. It’s available to stay in and definately worth a detour. Being sympathetic to history comes naturally to the French. Unfazed by trends, their interiors show a nod to other time periods yet are never 'themed'. They are always perfectly balanced, serene and elegant. Of course, starting with incredible architecutre as a setting helps. Such as this grand apartment in the heart of Lyon. It was designed by renowned architect Jacques-Germain Soufflot, famous for the Le Panthéon. The couple purchased it when it was in poor condition and have renovated it to have a casual feel. 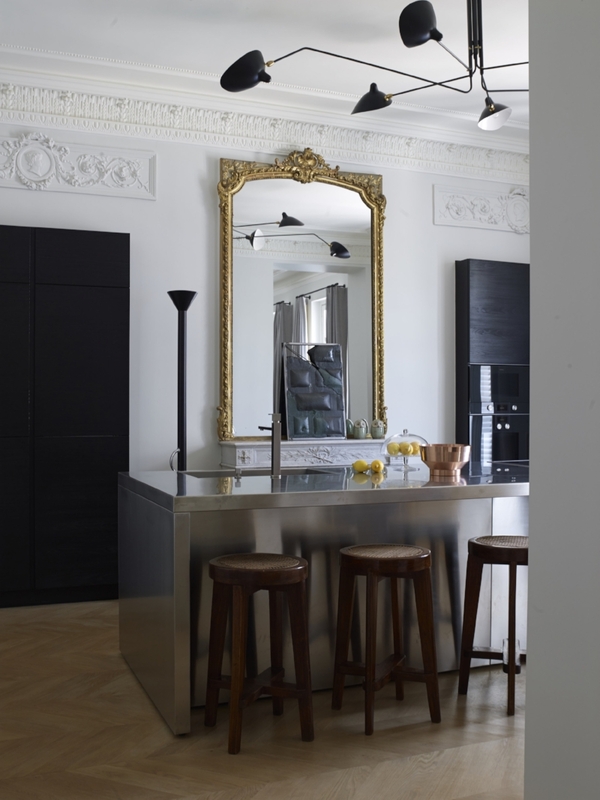 A rare Oscar niemeyer rio chair in a Haussmannien apartment in Paris. Photographer Gaelle le Boulicaut. 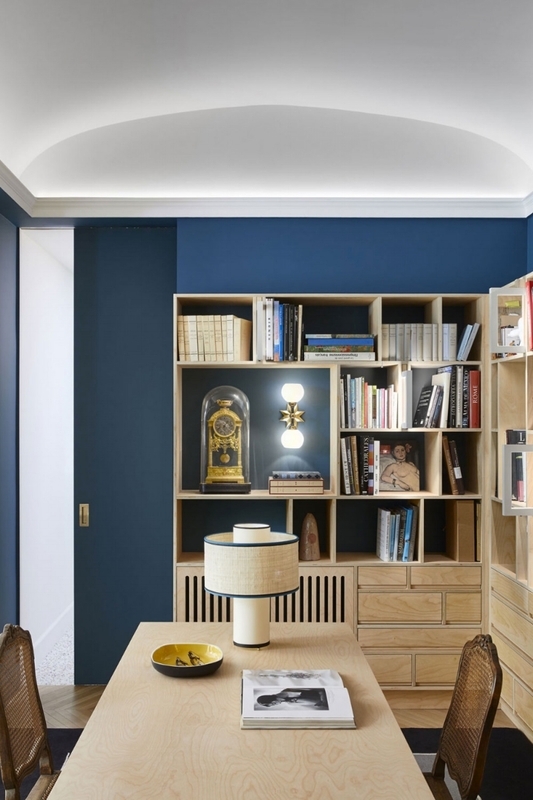 This apartment located across the street from the Louvre no less, and the bold colour all over on the classical moldings give this a completely fresh modern interpretation. It’s a rebellious thing to do to an historical room. No one can pull this off like the French. The French live life to the full; they enjoy the finest champagne, cheese, art, fashion and they bring this exuberance for life into their interiors. A life filled with colour is free and exciting, mix in some interesting pattern, then you’re really having fun! 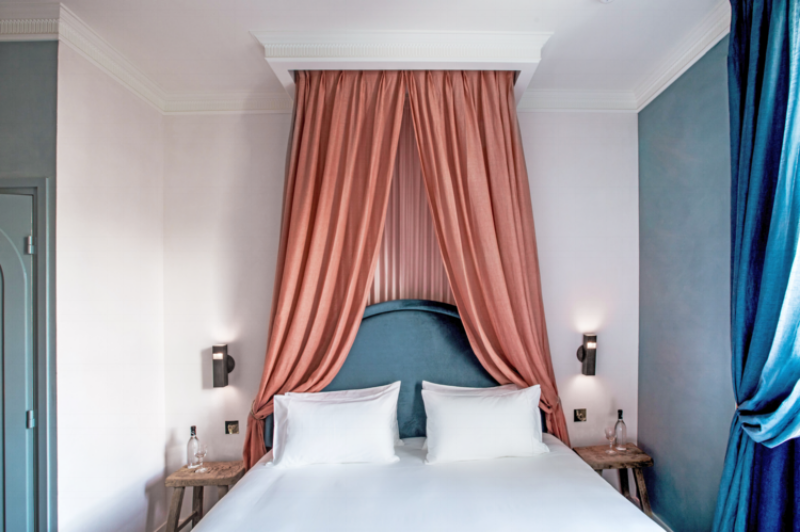 French style combines classicism, boldness and irreverence which is shown through colour. They are not afraid! The French embrace unusual colour combinations and they don’t worry about choosing furniture because it’s ‘safe,’ or won’t date. Their interiors aren’t guided so much by trends, rather than what feels good. There is a certain freedom and casualness that results in an effortless elegance. The French are so used to using colour in their interiors, that there are a number of designers known to have a signature colour. The fabulous fabric house Maison Pierre Frey always is an expression in travel and art - and the unexpected! India Mahdavi is famous for the dusty pink she used at Sketch in London. Sarah Lavoine is known for her signature turquoise blue with green overtones. The French balance playfulness with sophistication; the work of Dorothee Meilichzon is case in point. She's known for her signature 'modern art deco' hotel room designs in France and London. The curved form is repeated for bedhead designs, bathroom vanities and furniture, which echos the forms seen in the art deco period. This paired with unexpected colour combinations is a mix made in Pinterest heaven. The careful combination of multiple small scale and large scale patterns and knowing the line of the limits of 'too much' creates an beautifully exciting atmosphere. Her designs are so unique in a world of 'safe' that it’s no surprise she was named Designer of the Year at the 2015 Maison & Objet fair in Paris. Hotel des Grand Boulevards interior design by Dorothée Meilichzon. Gorgeous references to historial styles yet totally fresh. Design by Dorothée Meilichzon. In a culture which is centered around art, it’s no surprise that the French live with sculptural forms in their homes. Furniture that is sculptural and has personality is like living with functional artwork. French furniture brands produce pieces like no one else. The pieces are sculptural objects foremost and pleasing to look at. Ligne Roset have been producing the Togo settee since 1973 and it remains a totally original design. Its’ an example of a highly sculptural shape, however comfort is definitely not forgotten. Youth Editions are a new French furniture brand, blurring art and design. This article also appeared on The Design Files. Lauren is the interior design contributor.